Bentley's new SUV, pictured, will have softer front end styling and smaller headlights than the 2012 Geneva show concept. 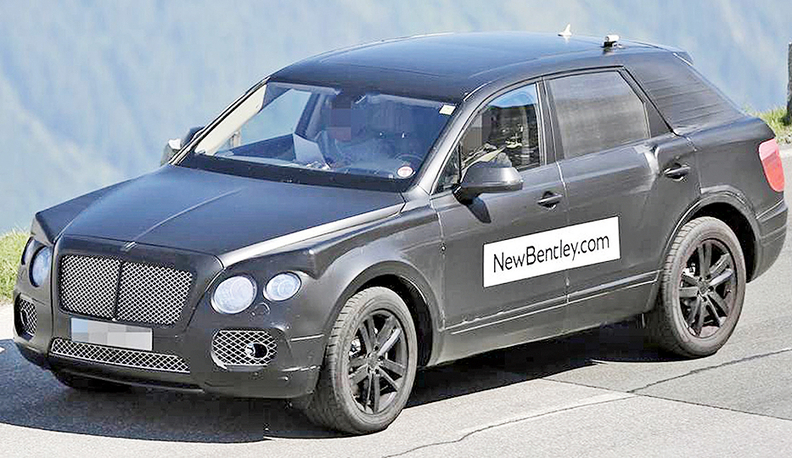 This lightly disguised prototype previews the Bentley SUV due in 2016. The vehicle, which may be called the Falcon, will share its platform with the next-generation Audi Q7 and the Lamborghini Urus SUVs. Bentley expects to sell about 3,000 units of the SUV annually, so the model will be key to the brand's goal of boosting annual sales to 15,000 by 2018 from last year's record volume of 10,120. In May, Bentley said it would invest 800 million pounds (981 million euros) over three years to add the SUV and upgrade its factory in Crewe, central England. Bentley has heavily revised the SUV's front end after a concept for the model called the EXP 9 F unveiled at the 2012 Geneva auto show was criticized for its bold styling and large headlights. The biggest market for the SUV is expected to be the United States, which will receive a third of the production, followed by China and the UK.